63% of ecommerce sites have a sitemap. That might seem like a high percentage, but what bothers me is the 37% who are missing out. Why? 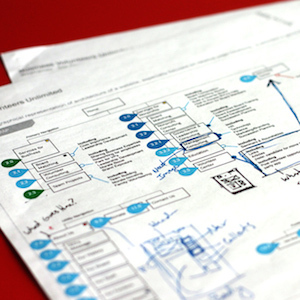 Because a sitemap is an integral component in your online store’s success. Thankfully, a missing sitemap is an easily remedied problem. Here’s everything you never knew you needed to know about sitemaps so you get familiar with the concept and implement one as soon as possible. In short, a list of all your webpages. The former are intended for human viewers, the latter for robots. Back in the HTML-only days, the sitemap worked like a book’s table of contents. Viewers, confronted with one of those labyrinthine text-based ‘90s layouts, could just look at a list of links to find out what was where. But we’ve moved on since then; these days, most sitemaps are aimed at search engines. For those of you new to SEO, search engines use programs – commonly referred to as “robots,” “crawlers,” or “spiders” – to hunt down new pages to index, usually finding them through links from other pages. There are a lot they can’t get to, however, mainly pages that are only accessible by anything but an HTML link, like pages connected to videos, Flash content, or forms. That’s where sitemaps come in. They don’t improve your search engine rankings on their own, but they’re a great way to let the robots know what to rank in the first place. In addition, XML sitemaps provide all kinds of helpful information for the crawlers. Using metadata, you can tell them which pages are more important than others, how frequently certain ones are updated, and each one’s relative importance. These bits of information will let the robots know how frequently to crawl your site. And if that’s not enough, you can just set the crawl rate yourself via a simple tag. HTML sitemaps can still provide an alternative to more design-centric navigation structures that often place form over function. A good sitemap will ensure your visitors know where to find everything. It’s worth noting that very few people will see it, though. According to Lunametrics, only a quarter of a percent of visitors to any given site ever look at its map. But that’s a good thing. Too much traffic to a sitemap often means the rest of your website’s navigation needs to be improved so people can intuitively find the page they need instead of having to look it up. In other words, sitemaps help you out whether people see them or not. If you haven’t established your site yet, now’s the perfect time to start planning. Ideally, you and your web designer should prepare all the links and metadata you’ll need for a comprehensive map before even launching the site. New websites and blogs that will see the most benefit from having a map. Most new blogs, especially, don’t usually get many backlinks to their individual posts, so it becomes harder for search engines to discover their content. And sites without maps can often go months before Google even discovers them, let alone places them in its rankings. There are a variety of ways to set up a sitemap, some easier than others. Certain website builders – like GoDaddy and Wix – automatically create them. In WordPress, all you have to do is install a plugin. There are two especially popular ones: WordPress SEO by Yoast and Google XML Sitemaps. The latter has been downloaded ten million times, effectively making it the standard. In Yoast, all you have to do is install and activate it, then in the SEO menu in the left sidebar, click XML Sitemaps. Check the box labelled Check this box to enable XML sitemap functionality and save your settings. Most WordPress sitemap plugins are similarly simple. Google XML Sitemaps, however, offers more control over your map’s content. Most notably, it allows you to add pages that were not created with your WordPress website. It also allows you to include or exclude various pages and parts of your site, as well as offering all kinds of bells and whistles like the ability to sort blog posts by comments. There are plenty of third-party generators as well. XML-Sitemaps.com will generate a free XML sitemap, as per the title, for websites containing up to 500 pages. The results can be downloaded, then uploaded into the domain root folder for your site. However, in addition to the page limit, it also sets the update frequency as the same for every page. Obviously, you probably won’t be changing the content on every page on your site at the same time, so if you want your search results to stay up-to-date, then this might not be the way to go. There’s also Likno, which has limited functionality, but will generate a decent barebones map to work with. Finally, if you have an organized list or your pages and some basic HTML and XML skills, you can make your own. There are no advanced design or coding skills needed, just the ability to create text links and insert the appropriate meta content. Present all links in text and link to your map via the homepage. A lot of sites place it in the footer so as not to interfere with the rest of the site’s navigation. Don’t give it an overcomplicated or cute name. Industry standard dictates you just call it the sitemap. And keep in mind that it should function as a supplement to, not a substitute for, your main navigation. Choose an organization style. Most designers arrange them either by category or just alphabetically. But no matter what style you choose, the important thing is to make sure the results are clear and intuitive. Try to confine links to one screen. An overly long list requiring too much scrolling might overwhelm the viewer. Beyond that, it can conform to the rest of your website’s design scheme. Finally, one of the downsides of making your own map is that it’s up to you to keep it current. If you let it fall behind your website’s actual content, it effectively becomes useless. Make two sitemaps. If your SEO-targeted sitemap seems a little cold and unfriendly, consider creating an HTML one to go along with your XML document. You can even create multiple HTML sitemaps in different styles, targeted to different audiences… but that’s out of the scope of this article. Submit it. Finally, after creating a sitemap via any method, you should submit it to Google and Bing via their respective Webmaster Tools pages. Granted, they’ll probably find it on their own eventually, but if you submit it yourself, you get the benefit of analytics. For example, Google’s Webmaster Tools offers a detailed breakdown of how many pages and images have been indexed. To make a custom robots.txt, you can either type one up in Notepad and upload it to your website, or if you’re a WordPress user, you can edit it via a plugin like WP Robots Txt. With all the benefits of having a sitemap, the variety of options for creating one, and the many ways you can get one for free, there’s no reason not to have one. Or two. Your search engine placement and sales can only benefit from it. Questions? Comments? Any sitemap-based SEO success stories you want to share? Leave us a comment below! Next post: Is There Demand for Your Product?